The NUAIR Alliance has selected Major General Marke F. “Hoot” Gibson (ret) as its new Chief Executive Officer (CEO) to oversee the organization’s efforts to safely integrate UAS into the National Airspace System (NAS). Gibson, who most recently served as Senior Advisor on Unmanned Aircraft Systems (UAS) Integration to the Deputy Administrator of the Federal Aviation Administration (FAA), will begin his new position on November 13. Gibson told the State Aviation Journal that he’s looking forward to taking what he’s learned over the past two years with the FAA back to the private sector to advance what he termed as a “disruptive technology” even further, and to put into operation those gains they’ve already made. Gibson will lead NUAIR’s oversight of UAS testing being conducted in New York, Massachusetts and Michigan and a $30 million investment by New York State to build a 50-mile UTM Corridor and put the region at the forefront of UAS research and development. The NUAIR Alliance is an organizational partner of CenterState CEO, and manages one of seven unmanned aircraft systems test sites in the country. The organizations are strategically aligned in their efforts to build public and private partnerships to advance leading edge UAS and UTM technologies, and create a hub for the industry that will attract investments and business development. 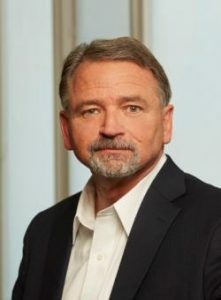 Gibson previously served as executive director of the NextGen Institute, which provides professional services to the UAS Joint Program Development Office. He has also owned his own aviation consulting firm. Gibson retired from the U.S. Air Force in 2011 after 33 years of service and holding numerous senior command and staff positions earning him the rank of Major General. 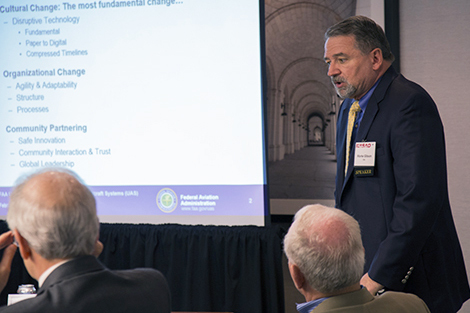 He retired as the Air Force’s director of current operations and training where he led the startup of a new cyber career field and its integration into Air Force operations. Gibson also worked on behalf of the Air Force secretary and chief of staff on ways to better integrate unmanned aerial vehicles (UAVs) into the national airspace. This involved continuous engagement with the FAA, Homeland Defense and numerous congressional delegations. As the director of training, Gibson was also responsible for the startup of a separate career field and unique training path for those who fly Air Force remote piloted aircrafts today. Gibson and his wife will relocate to the Central New York area from Northern Virginia.